West Side is a very complicated network of borders, but if we really simplify it; it’s Bergen Avenue to West Side Avenue including Lincoln Park, from Broadway to Danforth Avenue. I spoke with Charlene Burke, Vice President of the West Side Community Alliance (WSCA), who has lived in Hudson County her whole life and in the West Side since 1975. 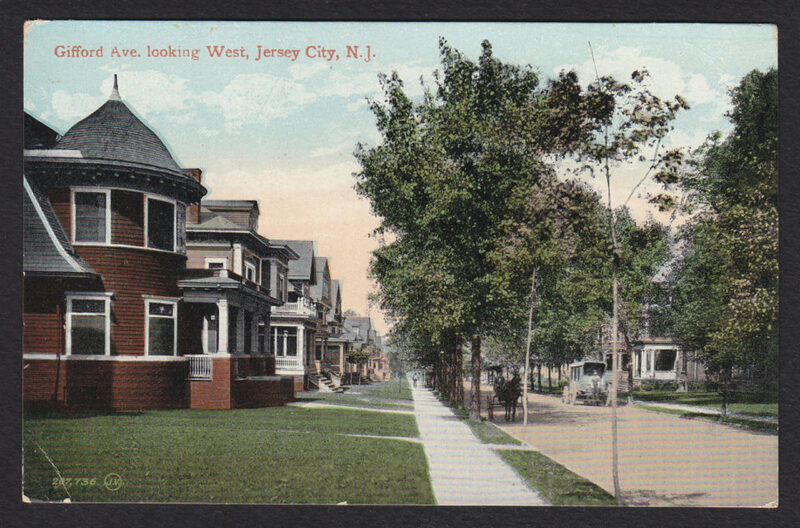 Since we’re well-versed in how Jersey City was settled, I asked her to skip to the 1800s, when the West Side began developing into a neighborhood. 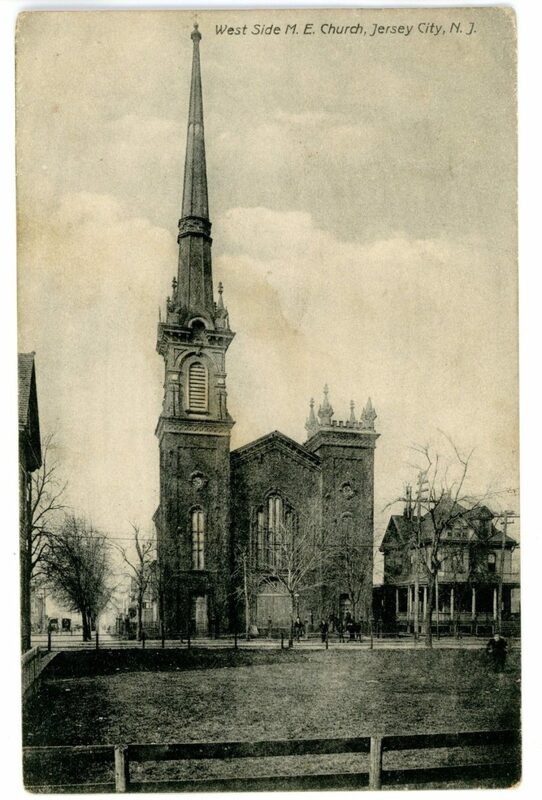 “You have to remember that the Township of Bergan came first and it was up on the hill,” said Charlene. 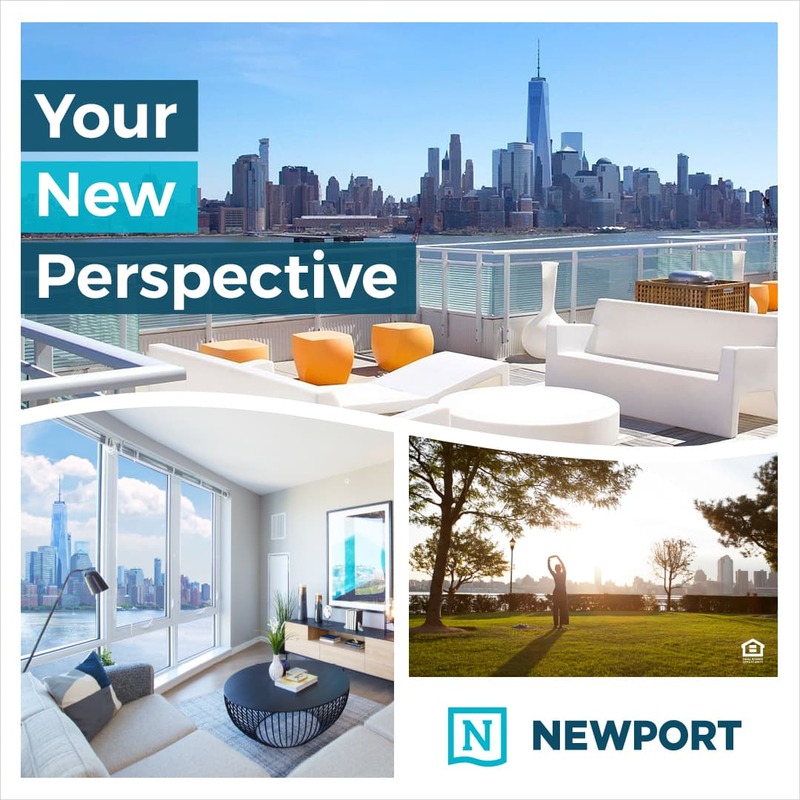 “Paulus Hook was settled and expanded to what became downtown Jersey City, but the Dutch were sensible and established themselves up on the hill, away from the river, to avoid flooding and the seasonal changes that come with living on the river’s edge,” she explained. 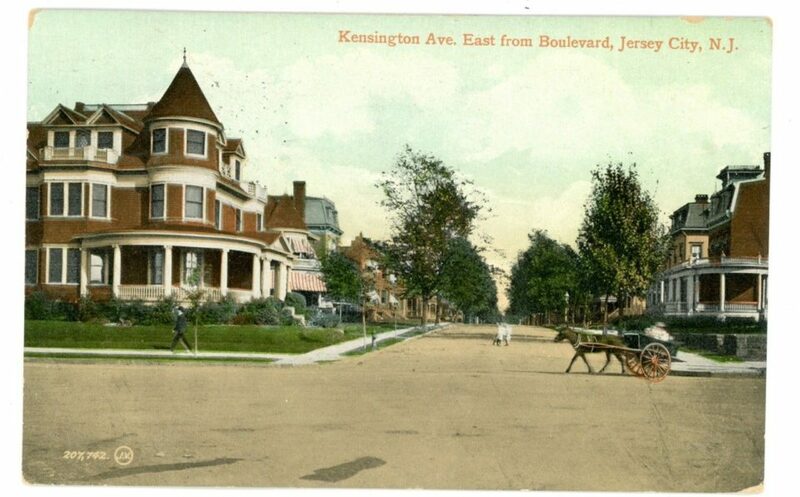 By the 1890s Jersey City’s population passed the 200,000 mark and the electric trolley allowed people to move further from the city while still having easy access to their jobs. This opened up the West Side immensely. 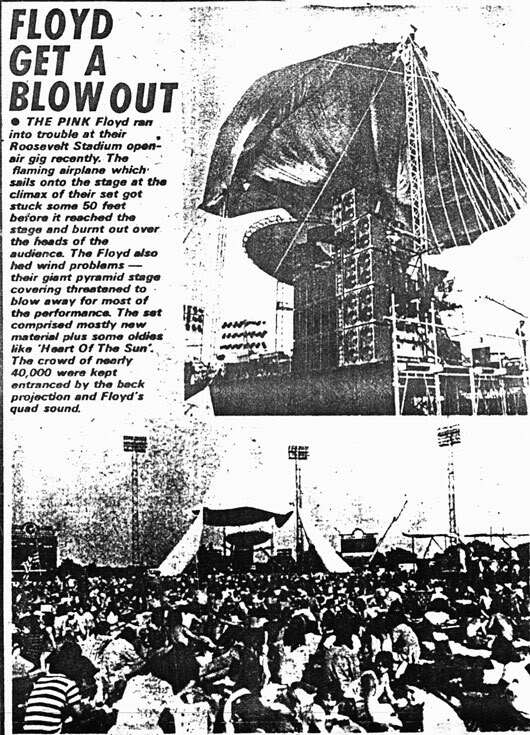 Another draw to the West Side (although technically outside of the neighborhood boundaries we’re using for the purpose of this article) was Roosevelt Stadium in Droyer’s Point (near the Hackensack River Waterfront / Society Hill neighborhood). 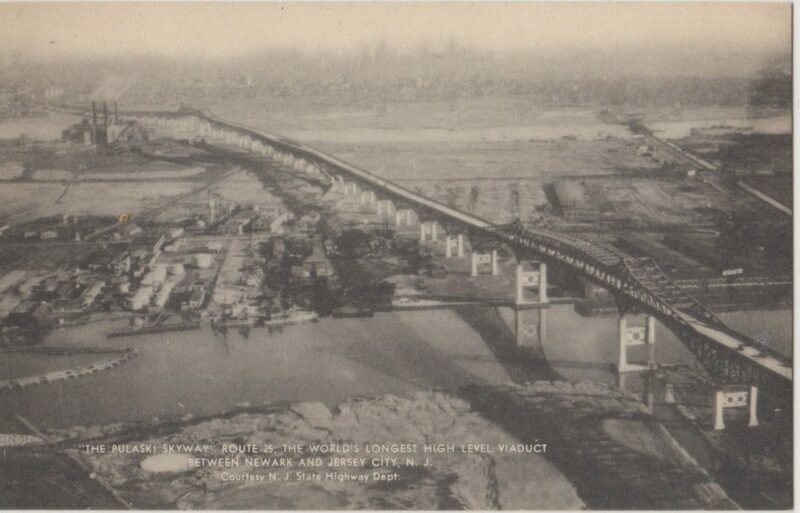 This was once a plot of land slated for a Jersey City Airport in the 1920s until the Depression killed that initiative. 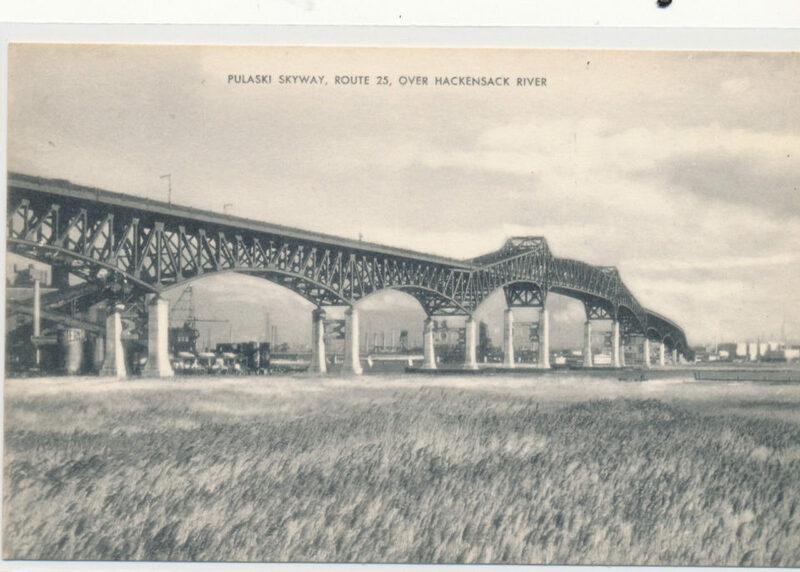 In the 1930s Mayor Frank Hague applied for federal funds under FDR’s New Deal program to buy the land at Droyers Point and erect a sports stadium. 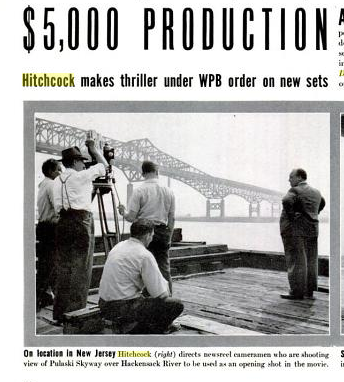 It opened in 1937 and was named after President Roosevelt. 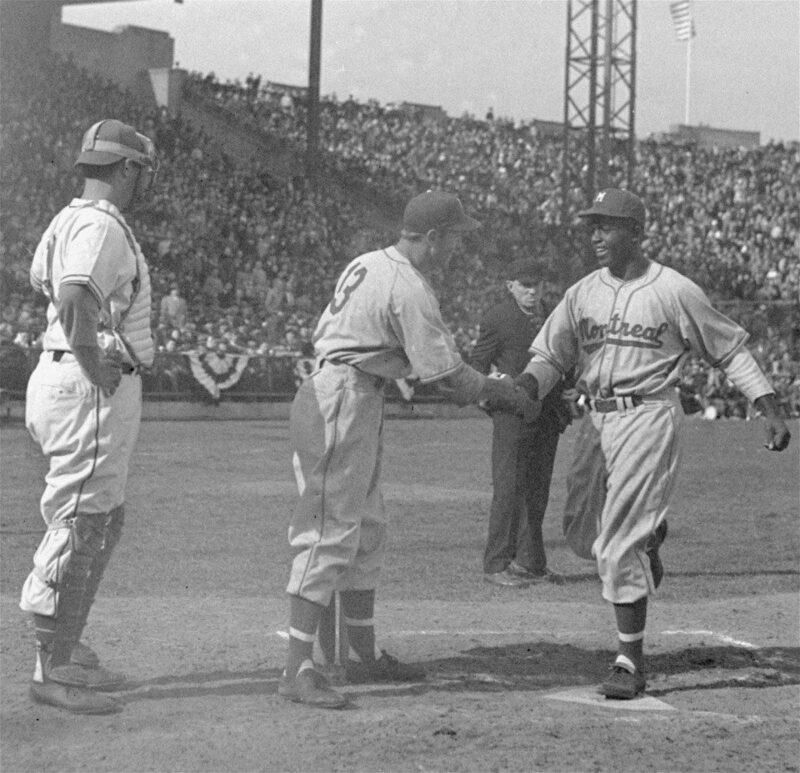 Jackie Robinson at Roosevelt Stadium, 1946. 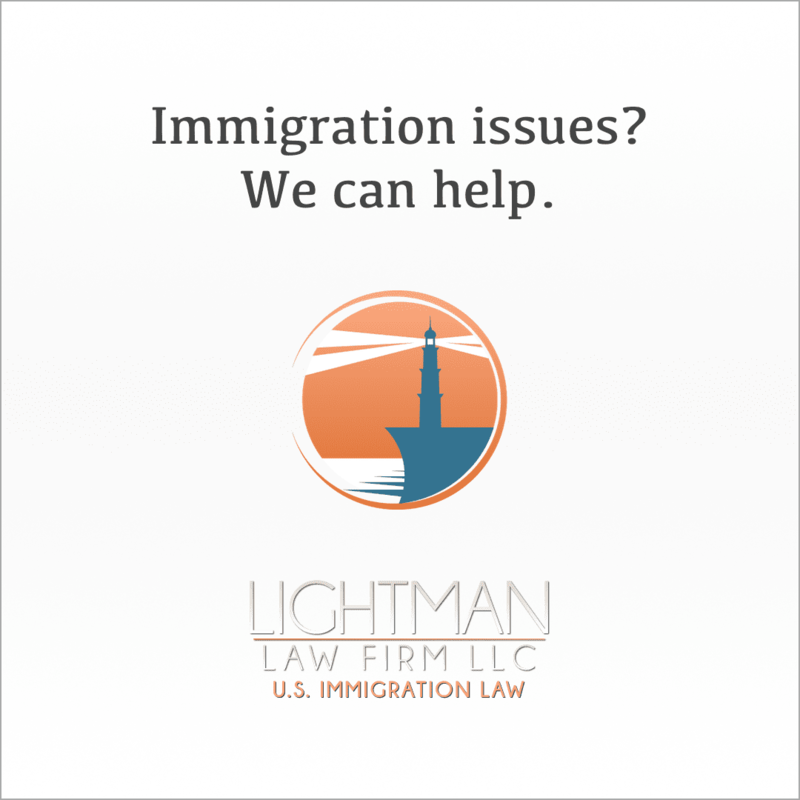 Its biggest claim to fame is that Jackie Robinson, the first African American to play in Major League Baseball made his professional debut at Roosevelt Stadium on April 18, 1946. 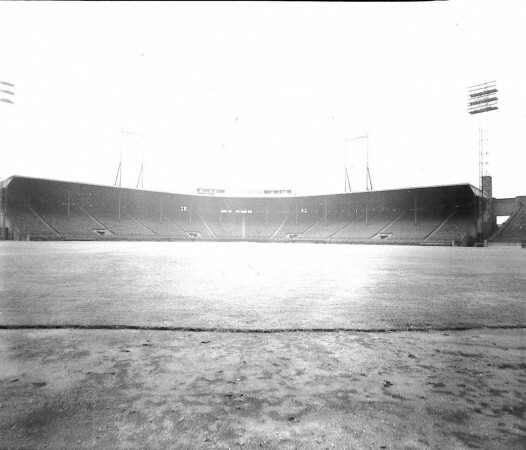 It was also used for 15 “home” games by the Brooklyn Dodgers during their last two seasons in Brooklyn between 1956 and 1957. 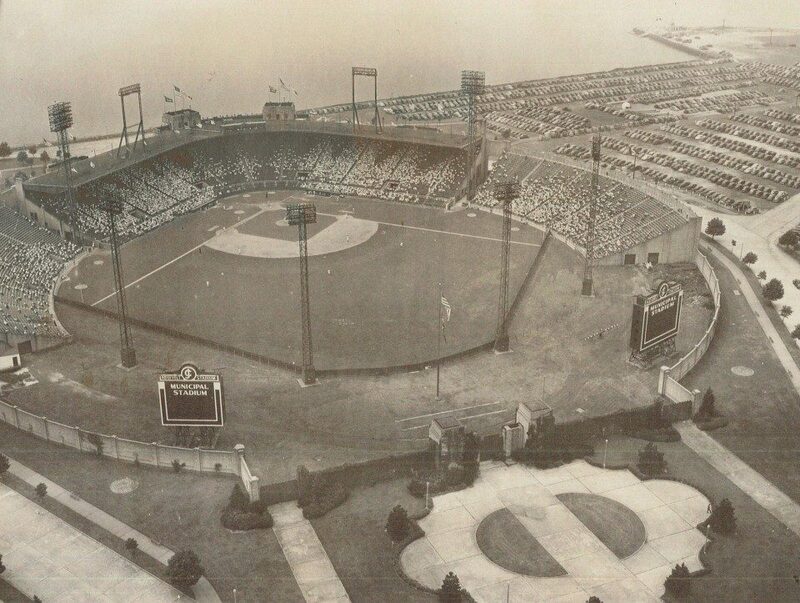 The stadium was also home to the Jersey City Giants (Jersey City’s International League affiliate of the New York Giants) and other minor league teams like the Jersey City Jerseys and the Jersey City Indians. 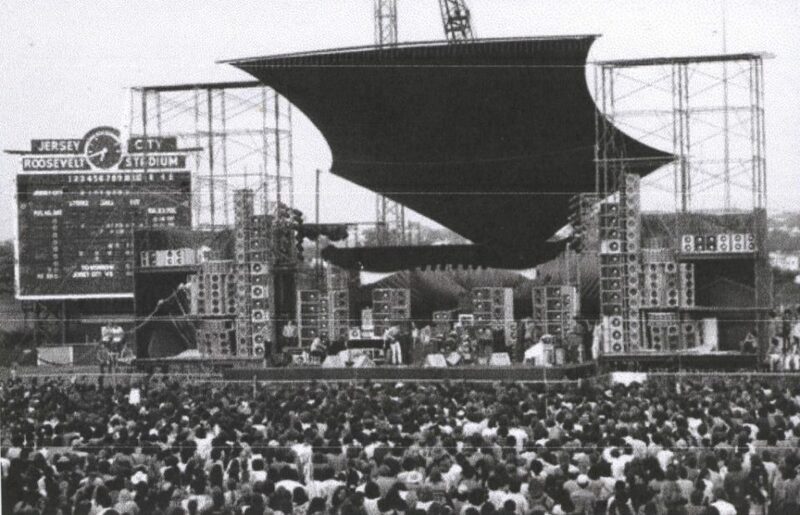 Attendance began to slow in the 1950s and the stadium became primarily used for large rock concerts in the 1960s and 70s. 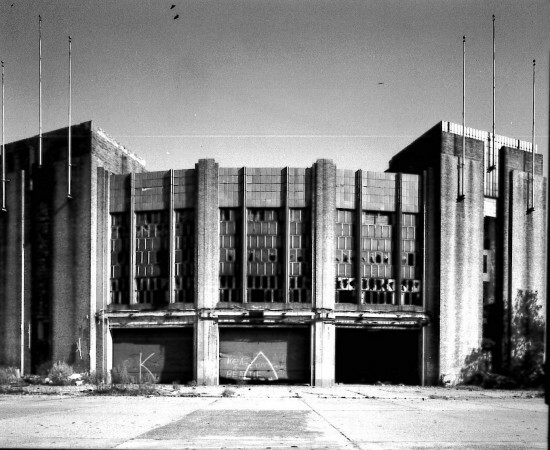 It fell into disrepair and was demolished in 1984. Condominiums currently stand in its place. 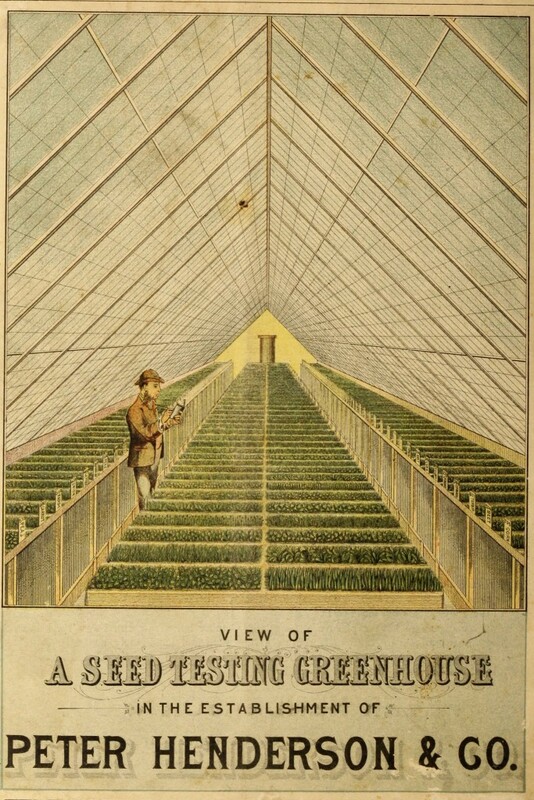 Here’s a little known fact: Before NJCU was ever a school, it was a massive network of greenhouses. 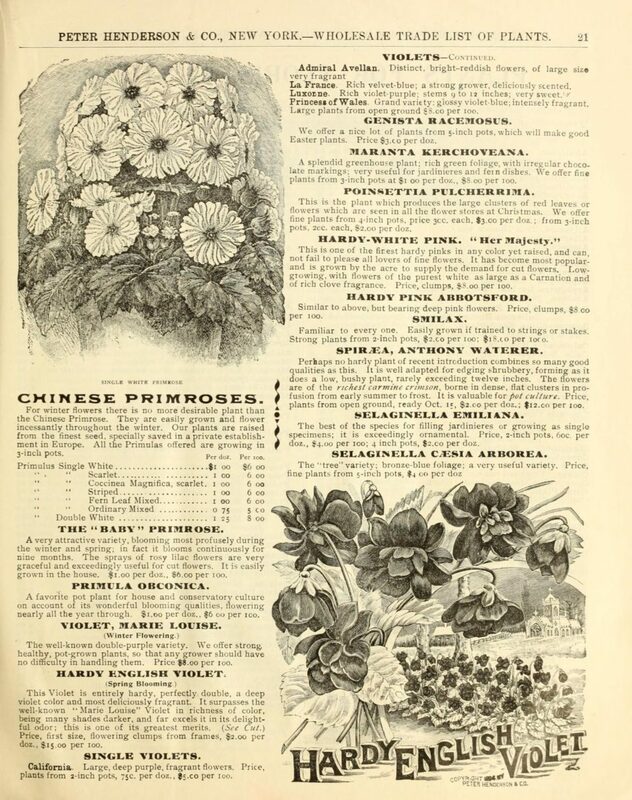 Leading horticulturist of the mid-1800s, Peter Henderson (whom you may remember as the landscaper of Van Vorst Park) started a small seed business in Jersey City that eventually expanded to seasonal vegetable plants and a large ornamental gardening operation that supplied flowers to the floral industry. 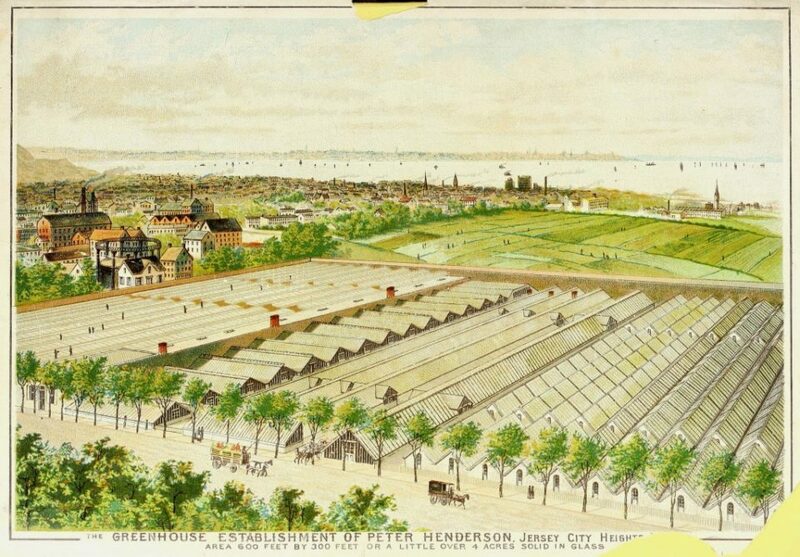 Henderson took advantage of his proximity to New York City and commercialized horticulture in a way that no one else was at the time by utilizing Jersey City’s cheap, open land to build greenhouse compounds and supplied seeds, plants and bulbs to the industry until his name became synonymous with gardening nationwide. 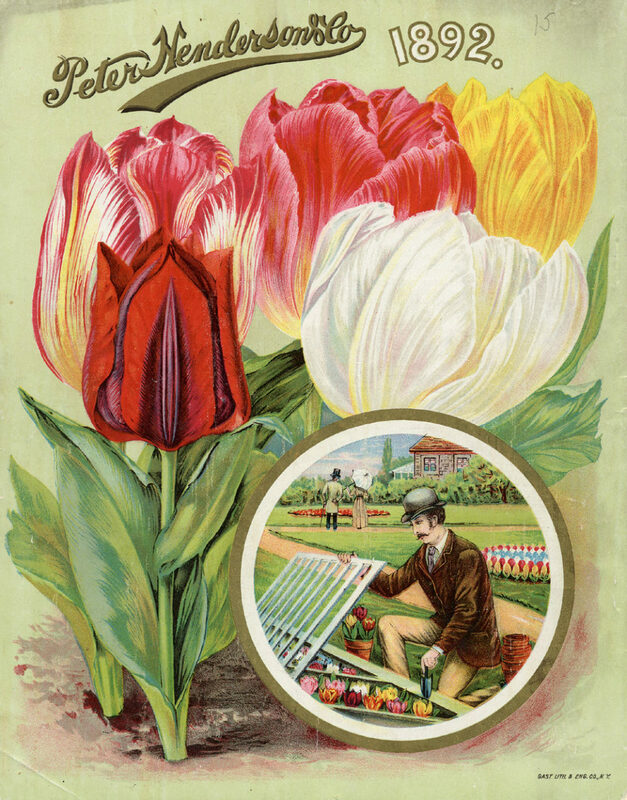 He went on to write prolifically on horticulture and print popular mail-order seed catalogs. 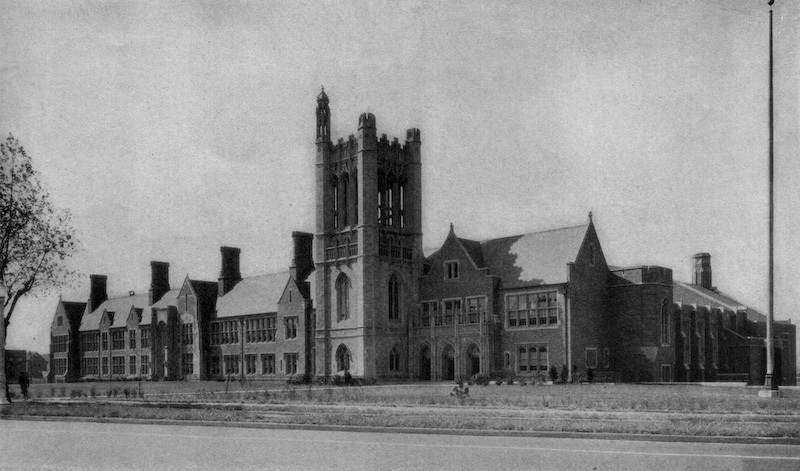 Once the greenhouses came down, the New Jersey State Normal School was established. 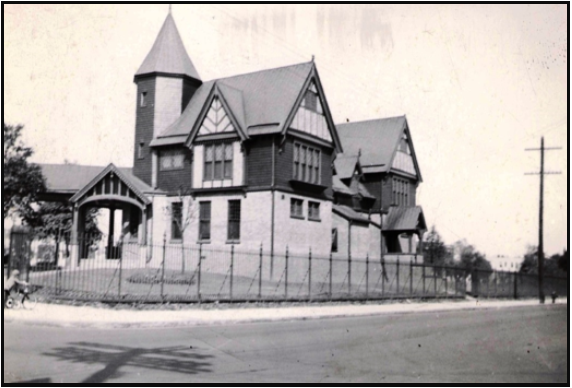 It opened in 1929 with a three-year program for 330 women and one man out of Hepburn Hall with the intention of turning them into teachers. 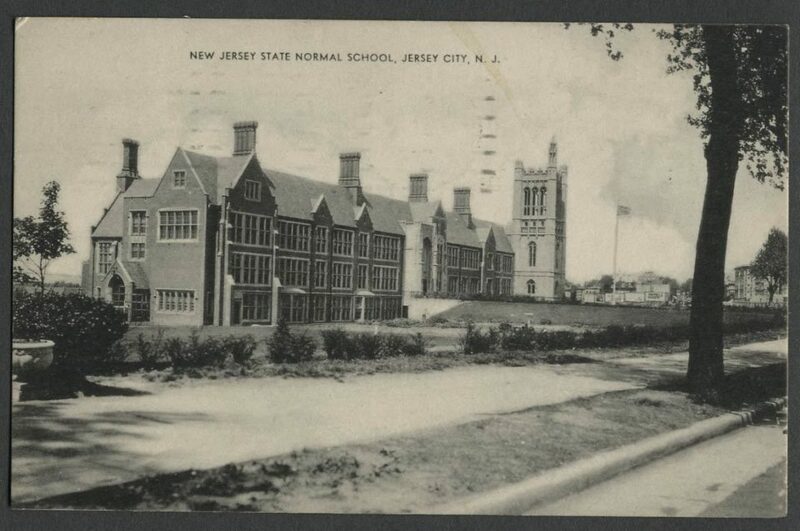 New Jersey State Normal School, 1932. 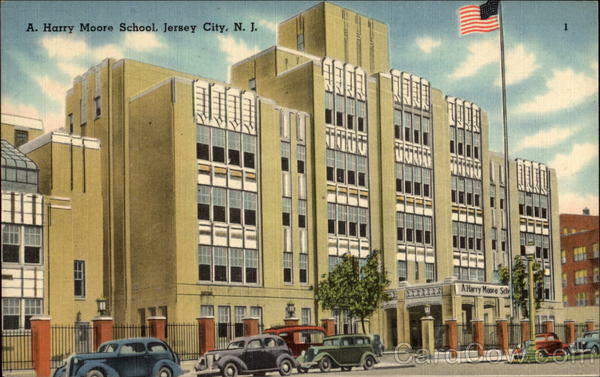 It was renamed New Jersey State Teachers College at Jersey City in 1935 and expanded to include four-year education and bachelor of science in education degrees. 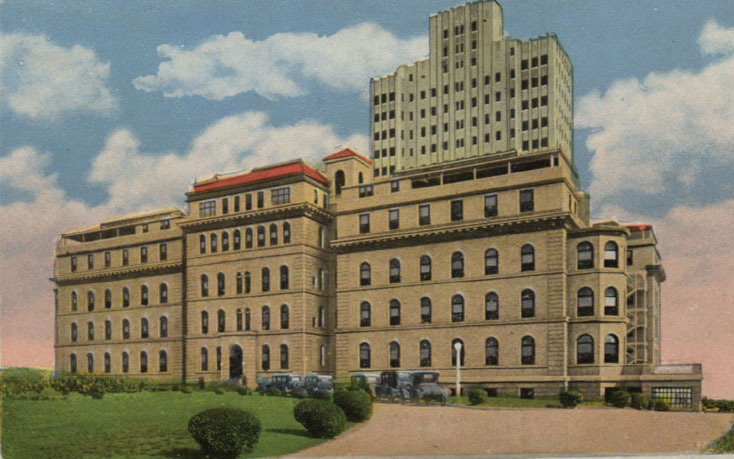 In 1936 the school partnered with the Jersey City Medical Center and began offering health education and nursing degree programs as well. After WWII, the G.I. 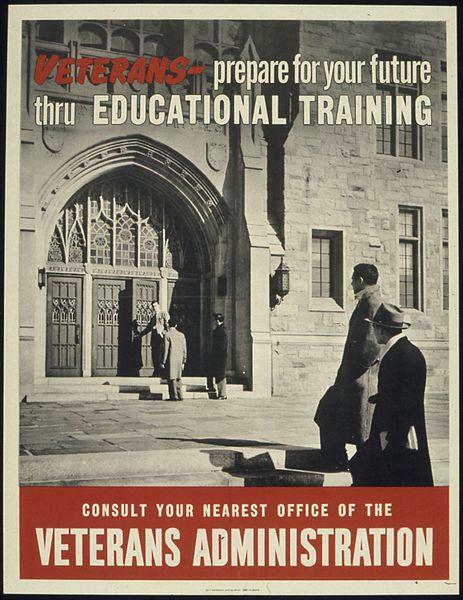 Bill helped veterans enroll at the college and it continued to grow, adding arts and sciences programs, a library and gymnasium. 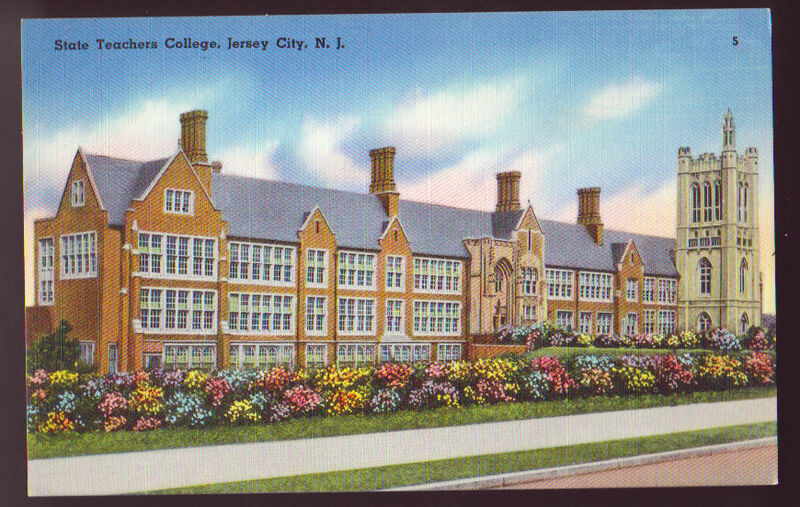 It was renamed again in 1958 to Jersey City State College. In 1962, it became one of the few colleges in the United States with a special-education sector when it partnered with the A. Harry Moore School, a school for the learning, language and multiply disabled. 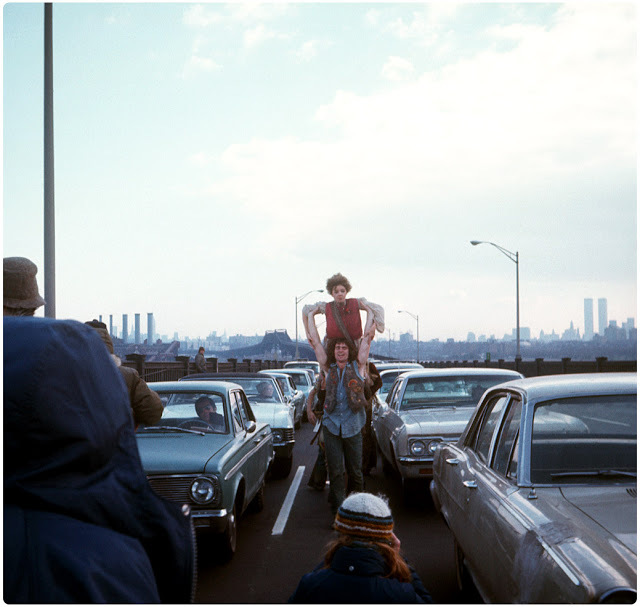 In 1968 it became a liberal arts college and continued to expand through the 1970s both in footprint, curriculum and student body size. 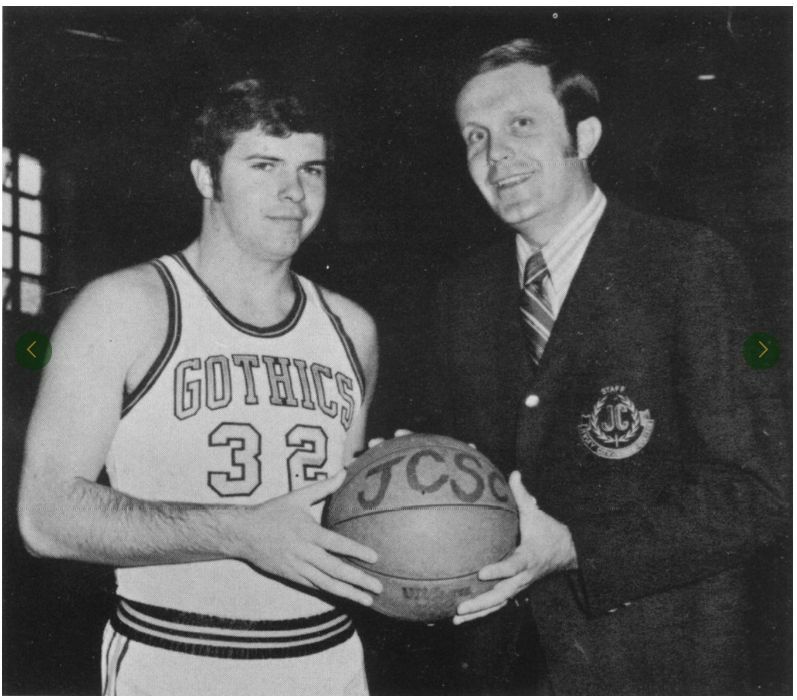 This was also the time when two NJCU legends started; Larry Schiner, began in 1967 as the men’s basketball coach and then served as the college’s director of athletics for another 30 years. In 1982 Schiner hired Charlie Brown to head the basketball team. Brown went on to lead NJCU to 12 NCAA tournaments and never saw a losing season in his 25 years at the helm. His name is etched on the basketball court floor and more incredibly his son, Marc Brown, currently teaches basketball on that same court and is ranked #2 (behind his father) for NJCU’s coaching wins. 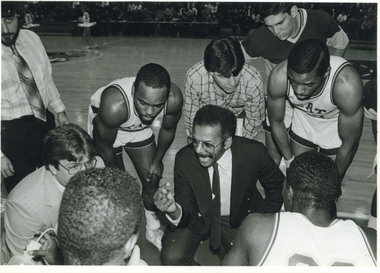 NJCU Basketball Coach Charlie Brown, 1985. Since it opened, the campus size has increased six times its original footprint. 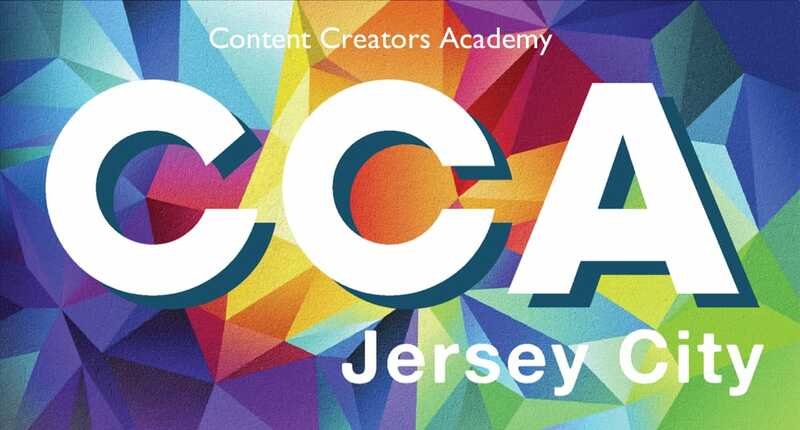 NJCU now offers 41 undergraduate and 27 graduate degree programs. 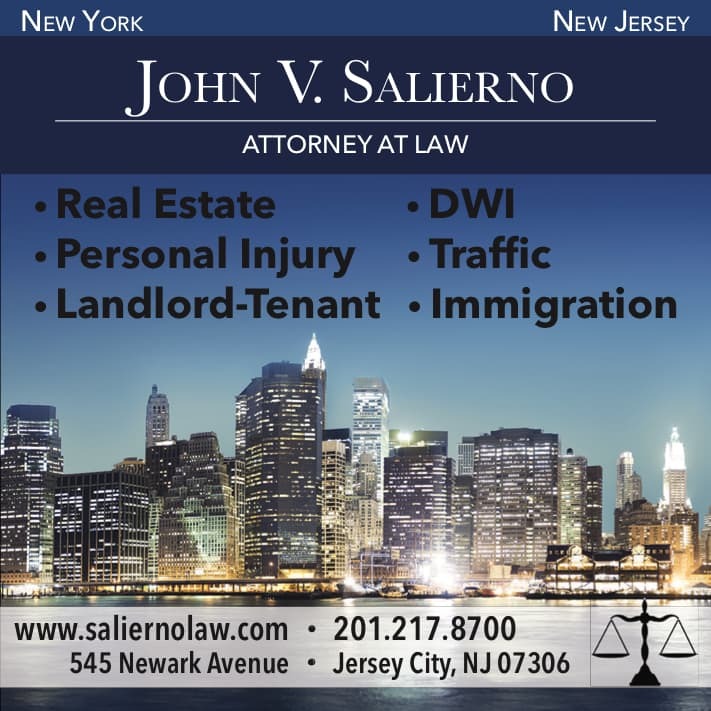 It finally became New Jersey City University in 1998, when they became accredited. 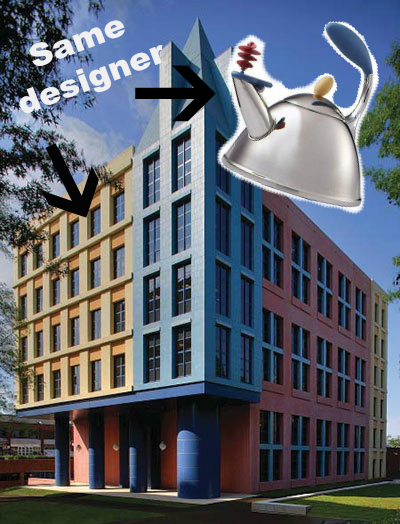 In 2006 prominent architect Michael Graves (you might recognize his famous tea kettles) was tapped to design George Karnoutsos Arts and Sciences Hall and in 2013 NJCU inaugurated their first woman president, Dr. Sue Henderson. 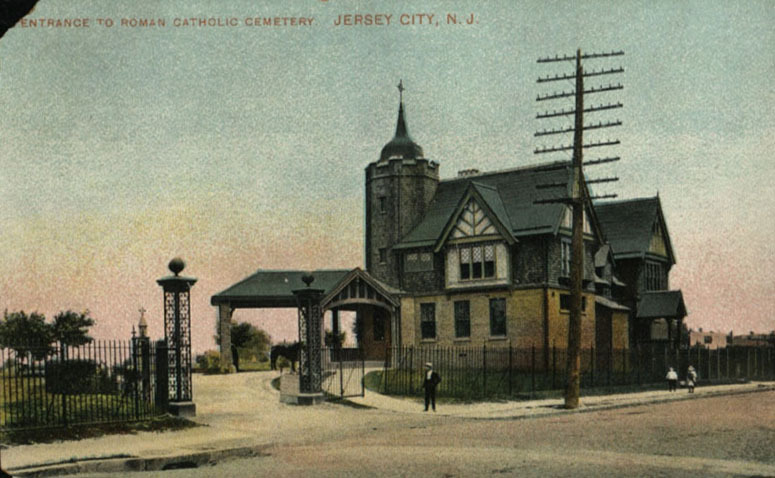 This 68-acre Roman Catholic cemetery is the largest cemetery in Jersey City. 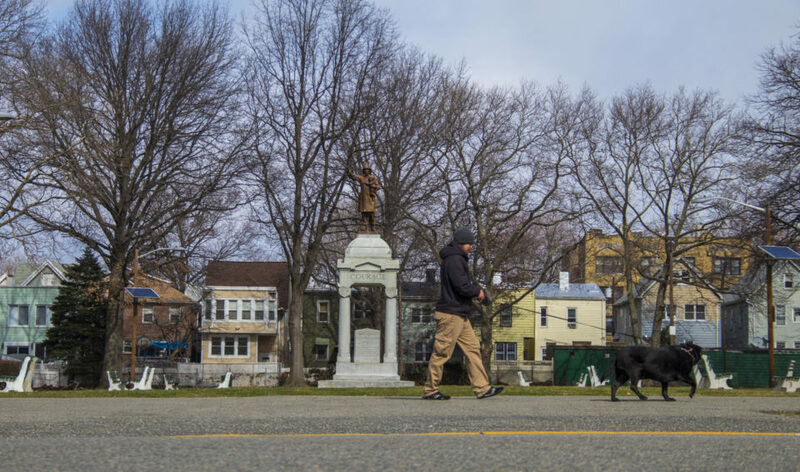 It was created in 1866 to meet the needs of Catholic families in the area with a section dedicated to the burial of priests and nuns who served in the city’s Roman Catholic parishes and parochial schools. -Robert John Hopkins, a crew member on the Titanic who helped Madeline Astor (John Jacob Astor’s wife) onto Lifeboat 13. 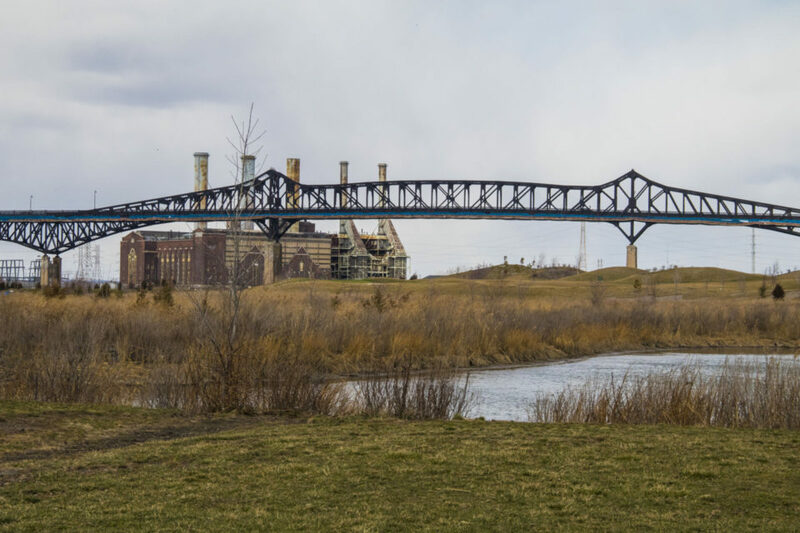 This 273-acre park is one of the largest and first parks in Hudson County. 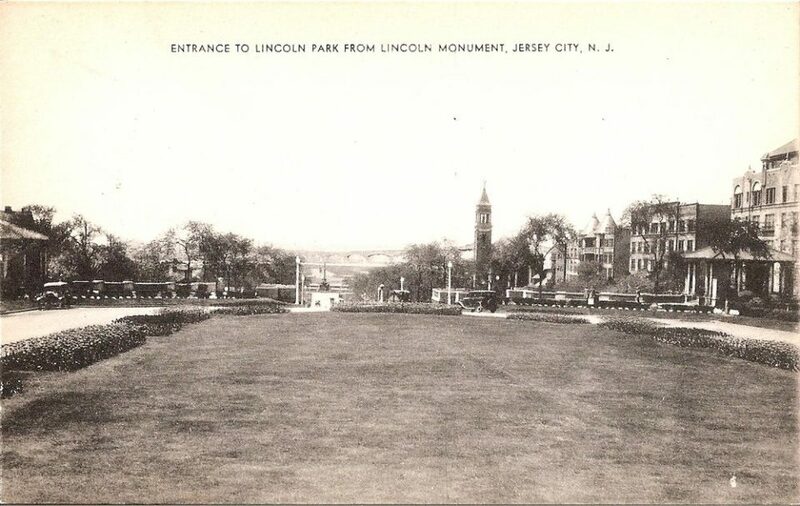 It opened in 1905 and was referred to as West Side Park until 1930 when the Lincoln memorial was installed. 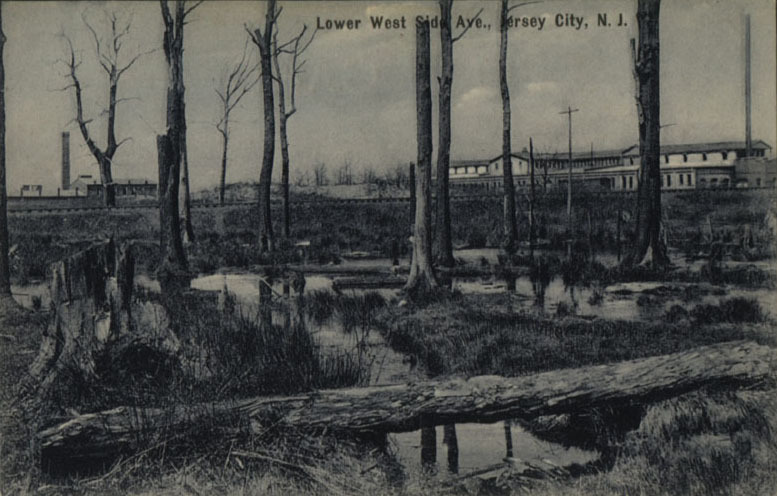 Before it was designated as a park by the city, it was mostly swamp land and private woods. 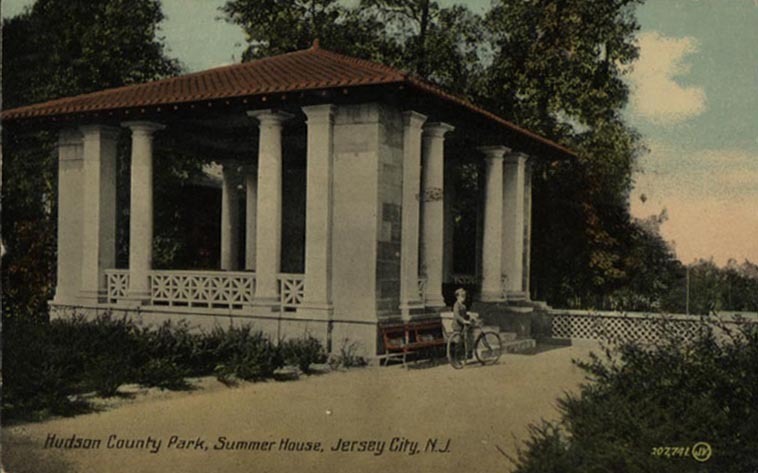 The park’s architects, Daniel W. Langton and Charles N. Lowrie, were active in the “City Beautiful movement,” a reform philosophy during the 1890s and 1900s whose main goal was to bring beautification and grandeur to urban cities. 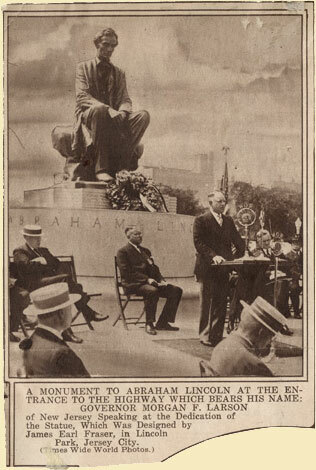 Sculptor James Earle Fraser was commissioned for the Abraham Lincoln statue, Lincoln the Mystic, by the Jersey City Lincoln Association. 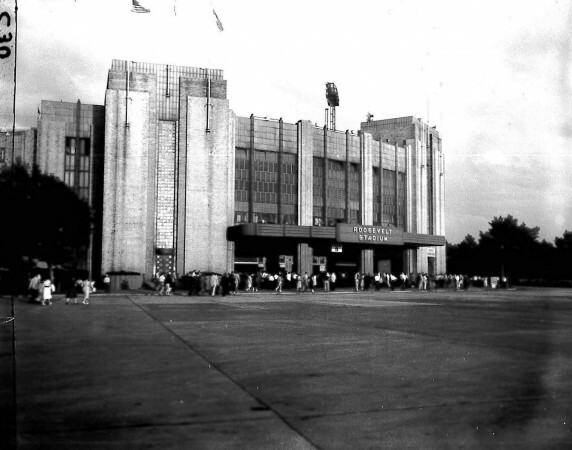 It was dedicated on June 14, 1930 to a crowd of 4,000. James Earle Fraser with plaster mold. 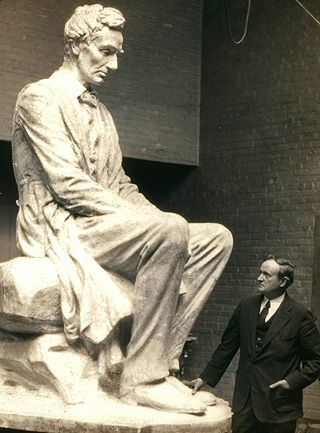 Lincoln the Mystic statue dedication. 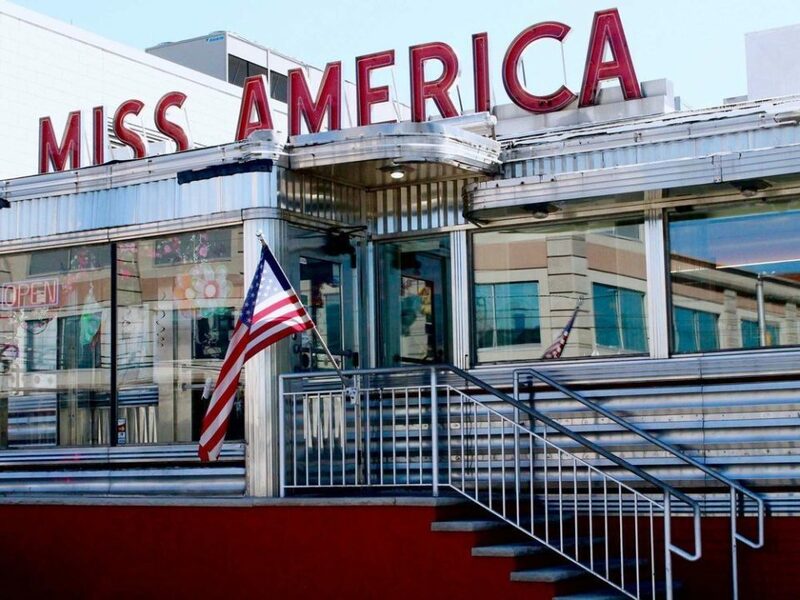 The infamous Miss America Diner is a prime example of the classic “streamline” style, designed by Jerry O’Mahony, a man whose claim to fame is that he thought up and established the classic diner style we know today. 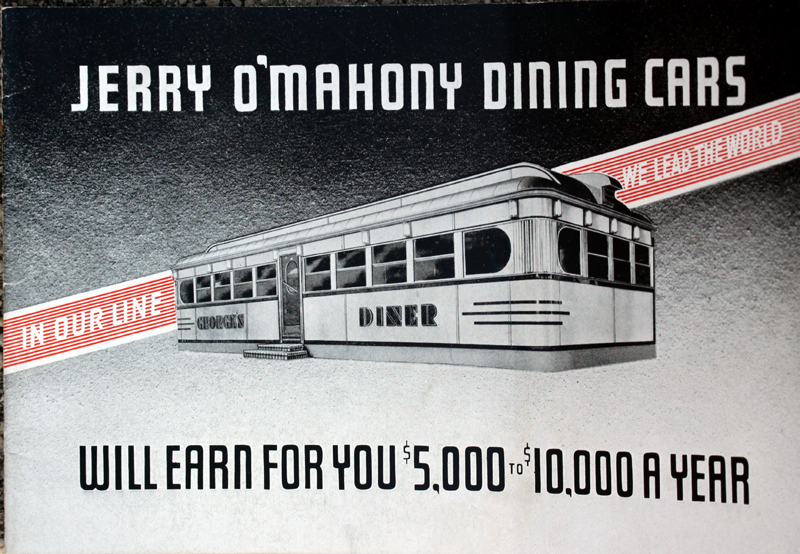 The diner on West Side Avenue dates back to 1942, when it was called the Joe Cherico Diner, after its original owner. 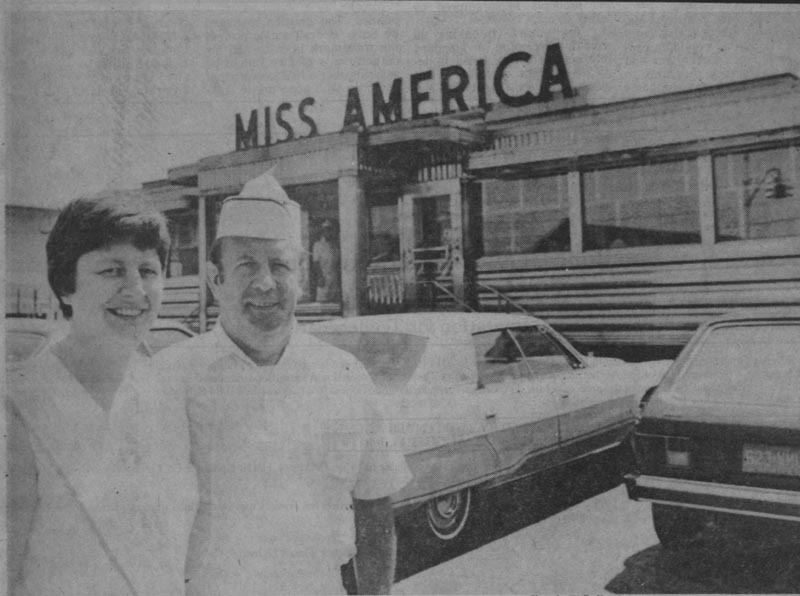 Fritz Welte, a German immigrant, bought the diner from Cherico and renamed it the Miss America Diner in honor of his new home. 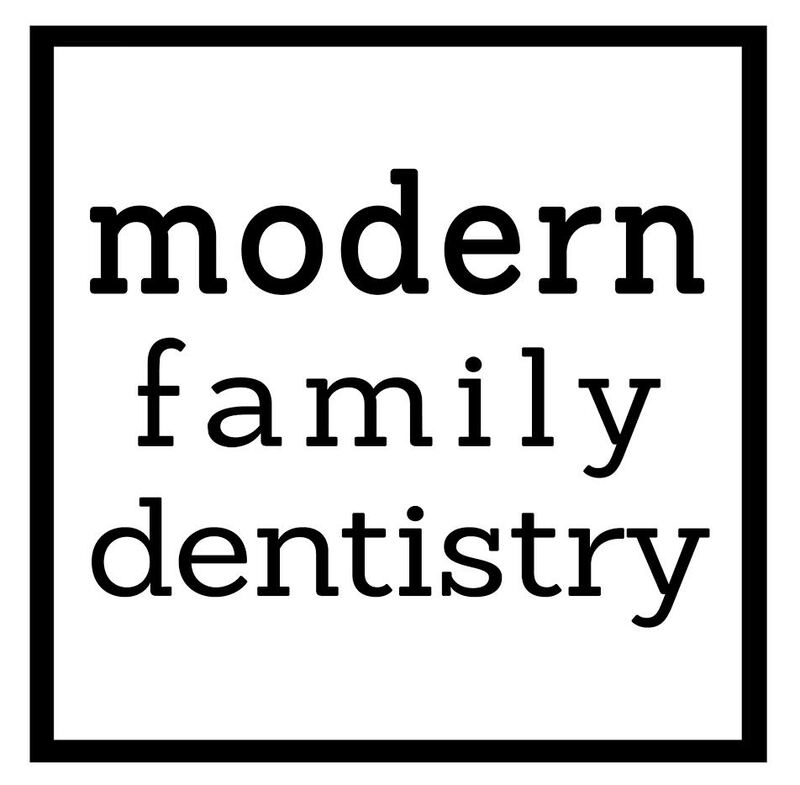 It has switched owners several times since then but remains a neighborhood landmark. This might sound like a boring landmark… but I assure you that it is not! 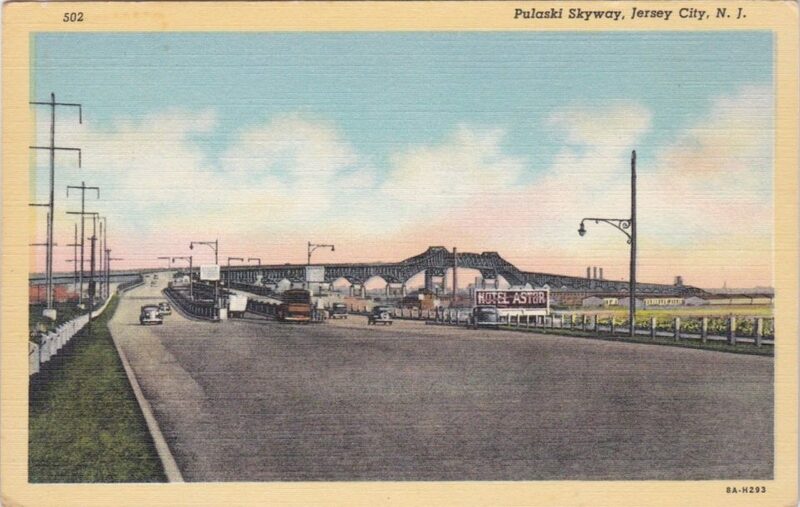 The Pulaski Skyway opened at 8am on Thanksgiving Day in 1932 as one of the first “super highways” in the United States to get people to the Holland Tunnel quicker. 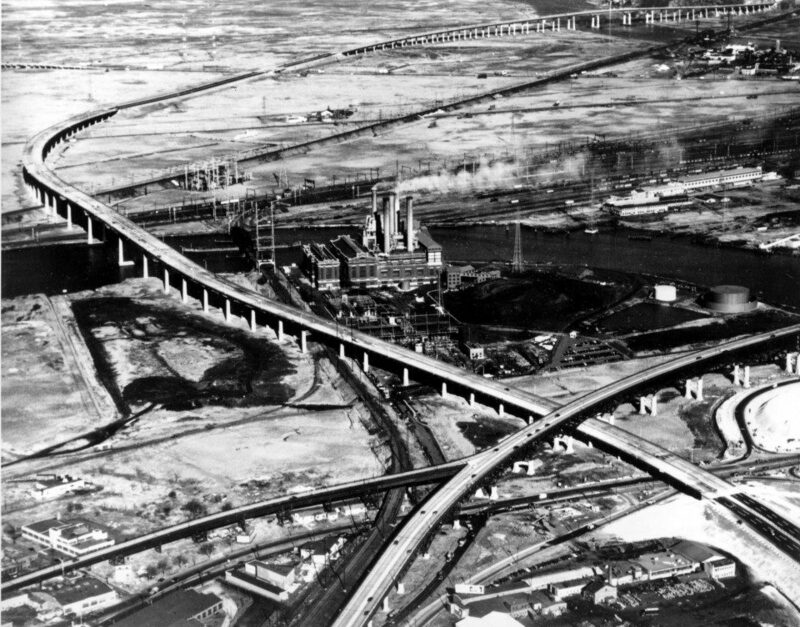 Nicknamed the “Diagonal Highway,” Mayor Frank Hague oversaw its development… but it has been a headache ever since. 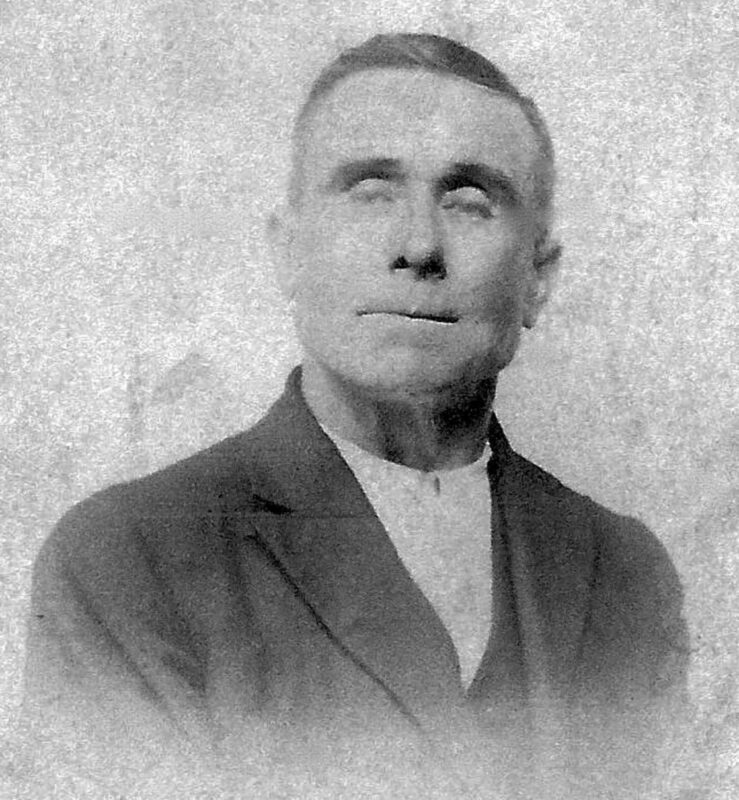 The building process was riddled with labor issues, 15 people died – including William T. Harrison, a worker for crooked labor czar who was beaten to death with iron bars by union men. 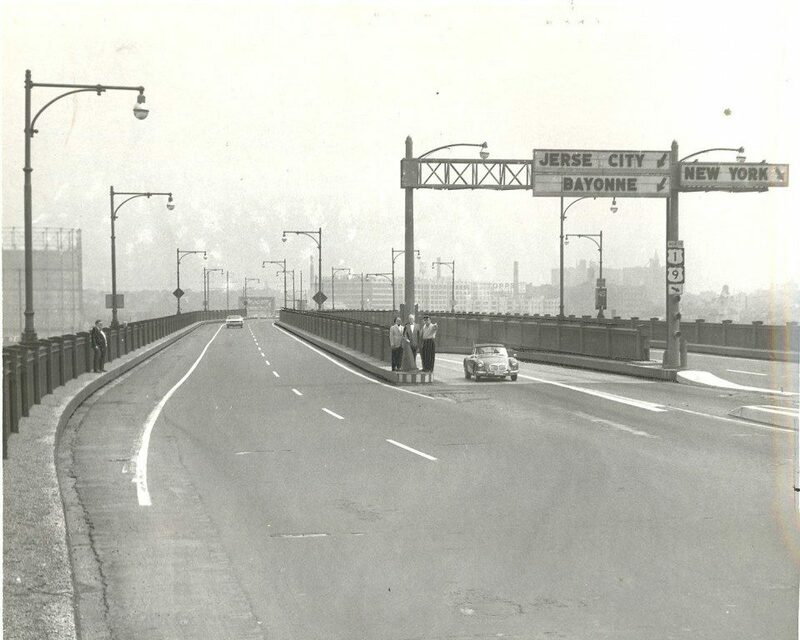 Trucks were bared in 1934 for safety reasons, the center lane was originally intended to be a breakdown lane but was instead used as a “suicide lane” for passing slower cars and the concrete was described as “slippery.” By the 1950s the bridge was racking up over 400 crashes a year. Changes have been made to the bridge but its reputation remains; it was named the sixth most unreliable road in the United States by the Texas Transportation Institute in 2011. 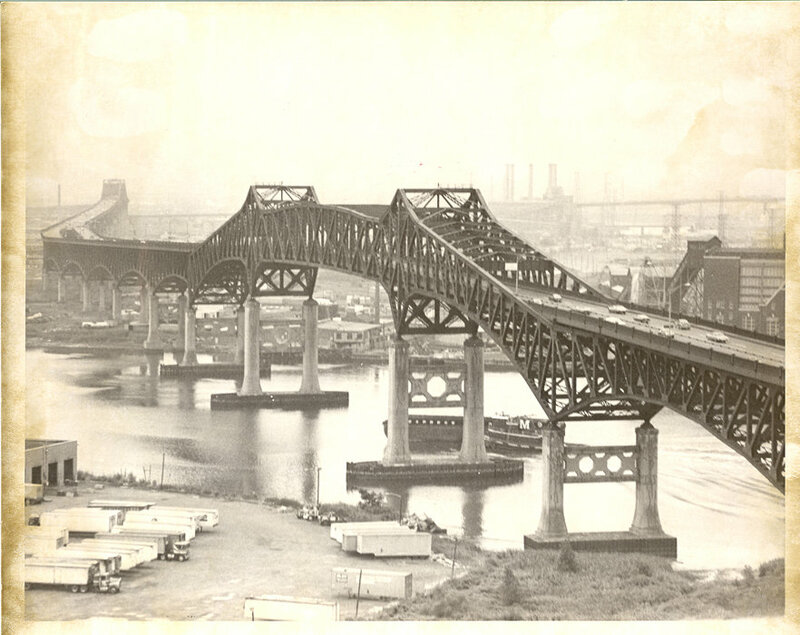 The New Jersey Department of Transportation considers it “functionally obsolete” because it does not meet highway bridge standards and the Hudson Reporter described it as “structurally deficient” in 2007. Its current renovation project started in 2012 and is expected to go until 2020 with a final bill of over 1.5 billion dollars. 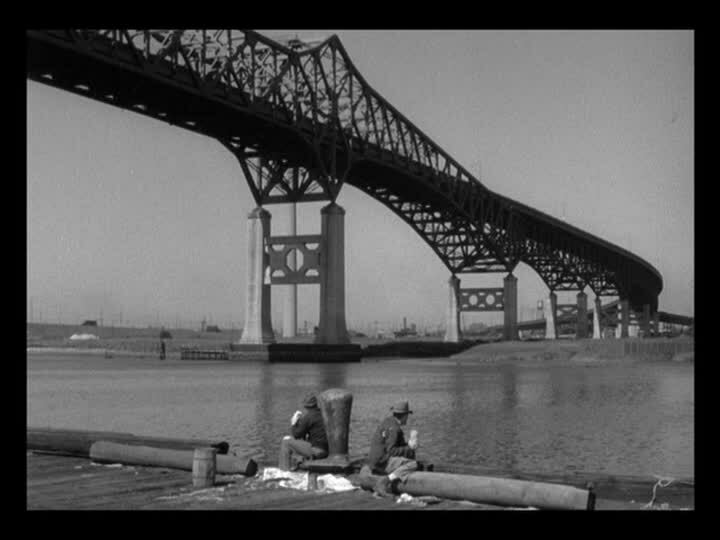 It runs a little over 3.5 miles long, 550 wide, cost $20 million to build and crosses the Passaic and Hackensack Rivers. 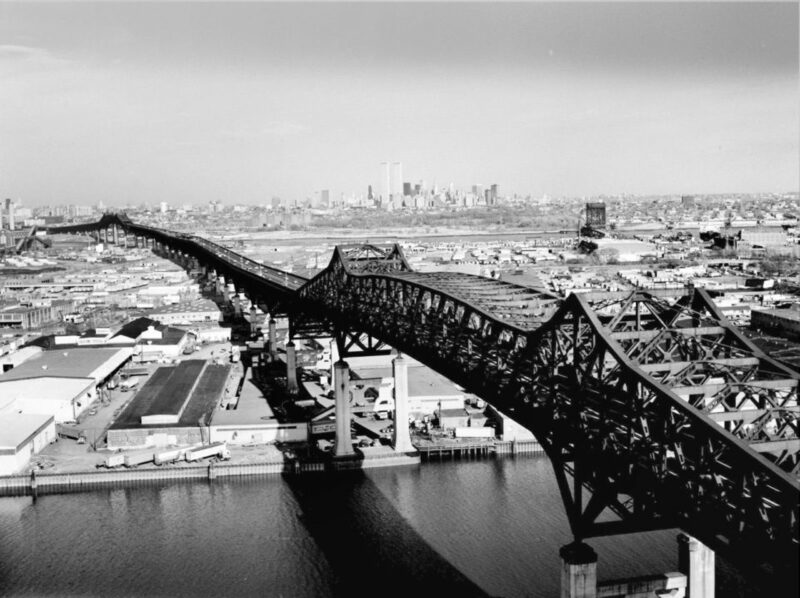 The Pulaski Skyway can be seen in the opening montage of The Sopranos, Alfred Hitchcock’s 1943 film Shadow of a Doubt, the 1979 film version of Hair and when Orson Welles sent the nation into a panic when he broadcast The War of the Worlds over the radio, it was our very own Pulaski Skyway that the Martians parked their fighting machine on. 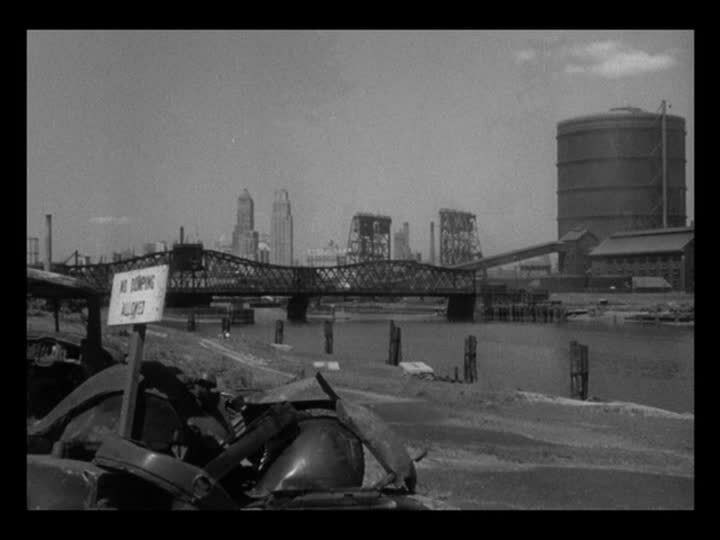 Scene from Shadow of a Doubt, 1943. 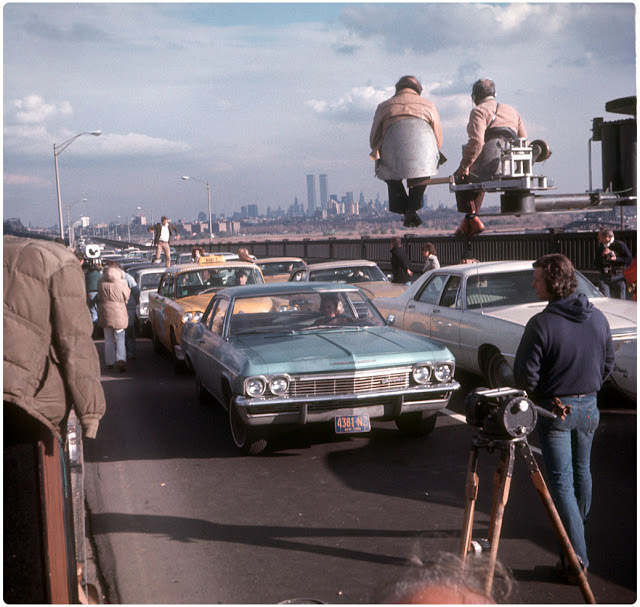 Filming of Hair on the Pulaski Skyway, 1979. 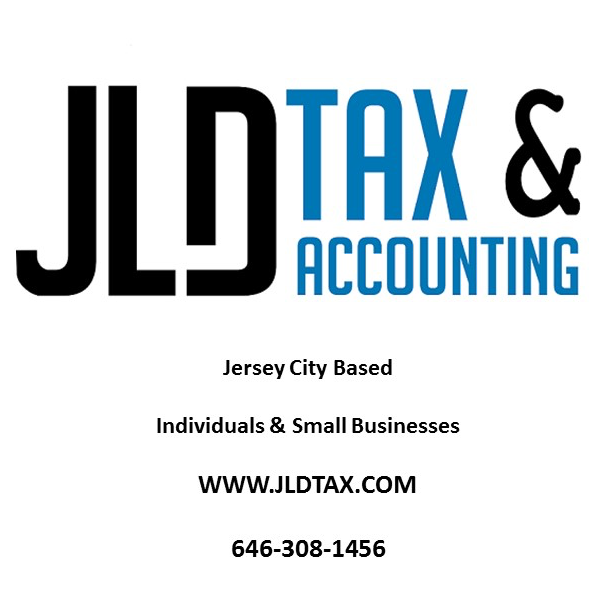 The West Side Community Alliance (WSCA) was founded in 2010 by merchants and residents of the West Side in order to improve and revitalize our area of Jersey City. 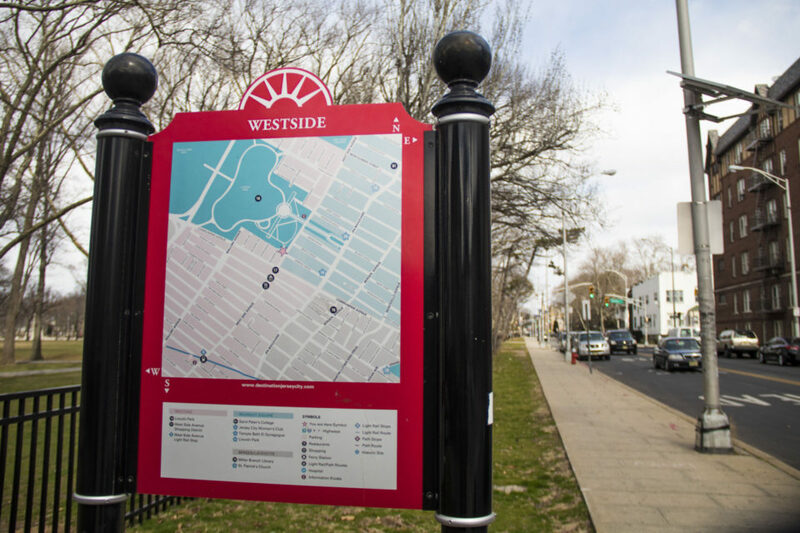 The West Side was historically landmarked in 2015, a project that WSCA partially aided in. 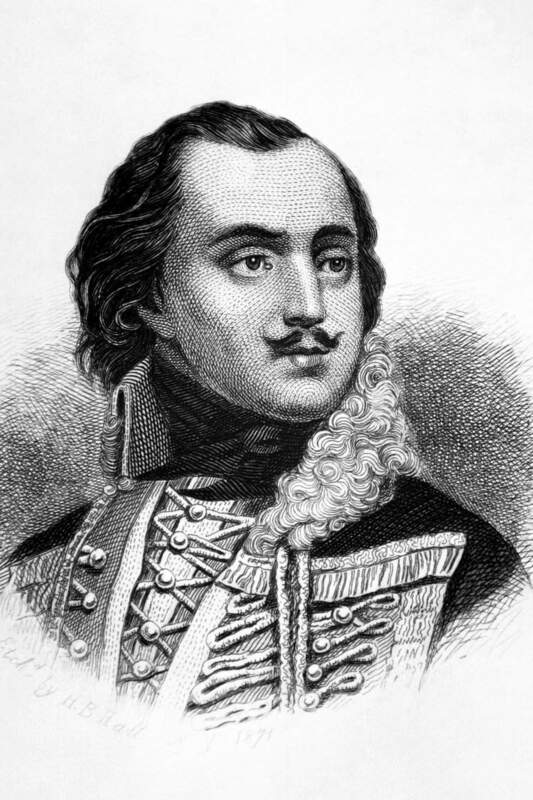 “These were well planned out streets in terms of their beauty and attractiveness. 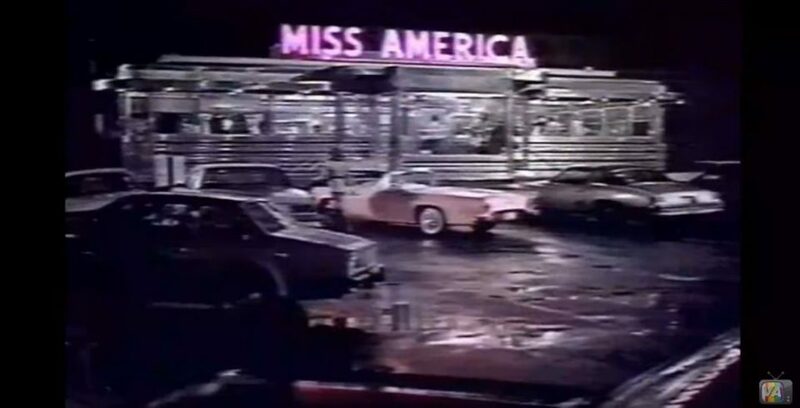 It’s really important to preserve the character of this area,” explain Charlene. Great article Lauren! 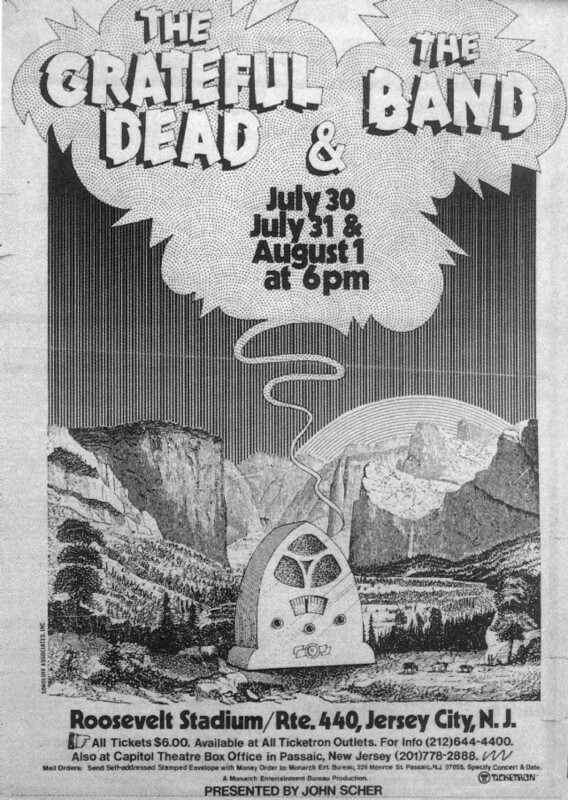 I’ve been in the Lincoln Park neighborhood for 25 years, and it is truly full of treasures. Charlene is an amazing lady too! Thank you for all the interesting information and bringing attention to the area.